Love Fish but hate the stinky smell it leaves behind after you've cooked it. Try This. After cooking fish boil a little vinegar in a pot and let it boil. 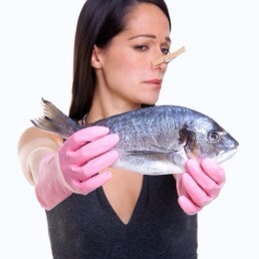 The nasty fish smell will disappear almost instantly leaving your kitchen smelling clean again.